Botany is the study of plants which are the source of the food we eat, the oxygen we breathe, most of the medicines we use, and the timbers and fibre which shelter, warm and clothe us. Plants are the core to understanding one of the greatest issues of our time – global climate change. In Trinity we specialise in the study of the evolution, genetics, ecophysiology, vegetation structure, history and dynamics, sustainability and conservation of all forms of plant life. David is currently undertaking the MSc. Management program at the Trinity Business School, after receiving a scholarship to attend. 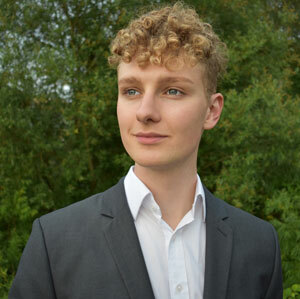 David’s passion for business developed during his study of Botany, particularly during his thesis on bioenergy crops, which went on to win the Irish Undergraduate Award in Earth and Environmental Sciences. David has completed internships in consulting at Deloitte, a neuropathology lab, and the botany department. He is also a freelance contributor to the Irish Times and has recently started a blog, davidfjmadden.com. 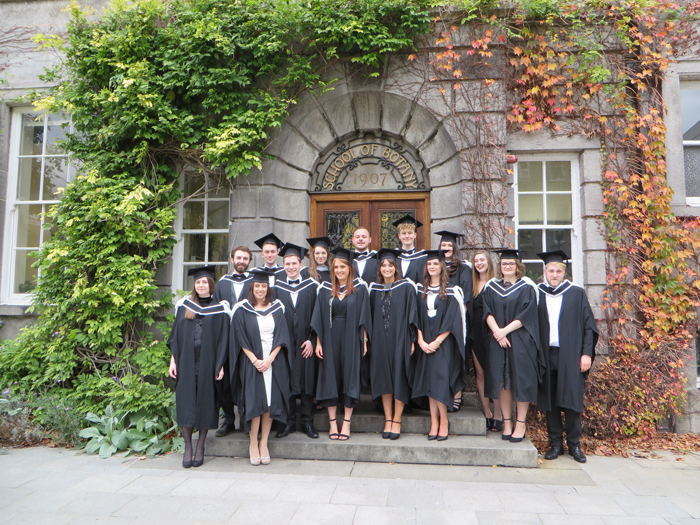 I entered the general entry Science Course programme at Trinity in 2011, initially focused on life sciences. However as modules went on, I soon found myself increasingly more interested in global environmental issues and their implications on the plant environment interactions. I thoroughly enjoyed the course and the range of activities it entailed, from fieldwork in Gran Canaria, through karyotyping the onion to learning R for statistical analysis! The vast range of modules ensures a well-rounded, solid foundation of plant biology as well as understanding of the wider environmental picture. I would highly recommend the course to every curious, budding (plant) scientist out there! The JS year consists of a diverse programme of lectures, laboratory practicals, field trips, tutorials and seminars, totalling 55 mandatory credits. In addition to core Botany modules, students also take either a Broad Curriculum module or choose an optional module (5 credits) from outside of the core Botany course. These modules are listed below. In the Senior Sophister year, students attend a series of lectures, laboratory practicals, field work, seminars, tutorials and workshops. In addition, they are required to undertake a 20 credit research project which culminates in the submission of a dissertation. The year consists of a total of 55 mandatory credits and 5 optional credits for one of two modules taken from outside the Botany course. These modules are listed below. There are two major field trips. The first is the Autumn Field trip which is based in and around Dublin with a residential stay in Wicklow. It takes place during the first week of Michaelmas Term and involves field and laboratory studies of woodlands, bogs and grasslands. The second field trip, based in an ecologically and biodiverse area of Europe (Canary Islands), is likely to take place during the study week in Hilary Term. Students also have the option of participating in a tropical field course.